Gary retired from KXPR-Sacramento on 1/5/2007. He talked about his 51-year career in TV and radio on KXJZ' "Insight". 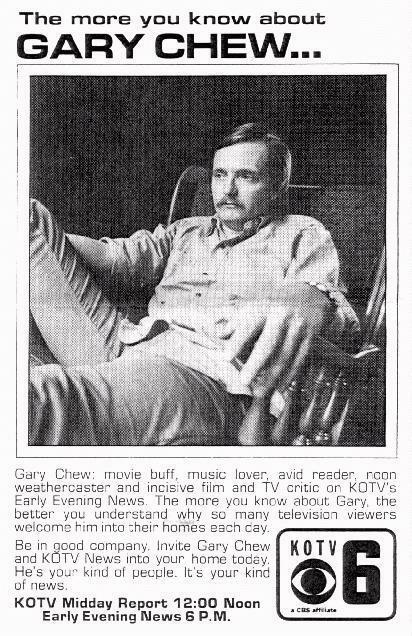 "Chew's Reviews" are current movie reviews by Gary for Tulsa TV Memories. To baby boomers who grew up in Tulsa in the 1960's and early 1970's, the name Gary Chew should ring some bells. Chew did both radio and TV during what many consider to be the golden days of broadcasting here. Whether it was as a Dee-jay at legendary Tulsa AM radio stations KTUL, KELi, KXXO, and KRMG , or doing the weather on KOTV, Chew's face or voice was in nearly every Tulsa home and auto during those heady days when we listened to the latest hits from the Beatles or the Loving Spoonful on that amazing new device, the transistor radio. It was a time when King Lionel's sardonic smirk let you know Tulsa broadcasters had a blast entertaining and informing you. 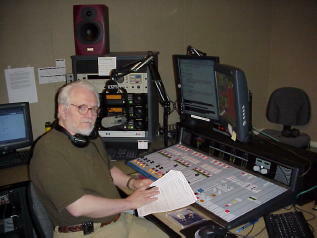 Gary Chew at work in KXPR's brand new studio, 5-11-2004. Gary: "As you can see, I have three computer screens, one for live copy that's read on the air, another for pre-recorded digital announcements (closer to the camera) and the one behind me, which is a regular monitor and computer hooked to the internet." Although Chew loves working in public radio in the Golden State, his roots in broadcasting go back to his high school days in the 1950's. That was when he got his start as a day time rock-and-roll Dee-jay at a little AM station in Blackwell, Oklahoma, northwest of Ponca City in Kay County. The call sign was KBWL then. Chew left Blackwell for the "bright lights" of Wichita which led onto Jefferson City, Missouri, then to Tulsa. "I worked in Jefferson City with a guy who moved to Tulsa and who got me a job in Tulsa. The funny thing is the guy was originally from Fort Smith, if you can keep up with all of that." Chew says laughing. Chew finally hit T-Town in 1959. "I started working at KTUL radio when it was out at 56th Street North and Lewis, near Turley. That was where the station was, at the transmitter site, when the Beatles came on the scene. I can remember our going ga-ga over "I Saw Her Standing There" one afternoon in the studio. We were all really impressed with this little quartet from Britain. Little did we know." In the early sixties, KTUL changed its call letters to KELi. "I was still at KELi when it moved into that circular building on stilts there by Bell Amusement Park. 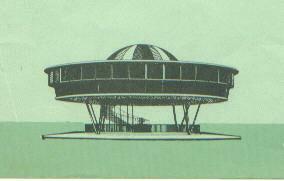 It was a pretty weird thing," Chew said, referring to the spaceship-like structure at the fairgrounds that many feel should have been declared an historic landmark. 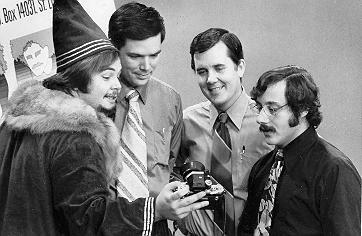 After working at KELi until 1967, Chew moved over to KOTV with a little help from Mike Miller, who was already at Channel Six. Miller had been a news reporter at KTUL and KELi with Chew before moving on to KOTV. "I was hired on as a weatherman. But I always knew that it was the second banana weatherman behind Lee Woodward," Chew says, chuckling at the memory. The two formed a bond that still holds today. "I visit with Lee by email almost every day." 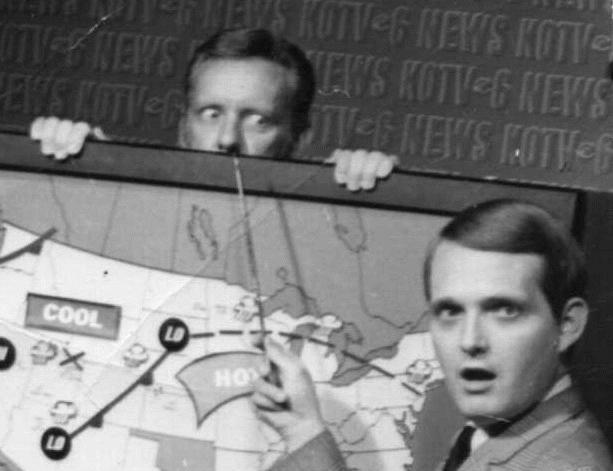 Woodward, as many will recall, is a legendary Tulsa broadcaster and Channel Six weatherman known for his quick, dry wit and his sardonic sidekick, King Lionel, the lion puppet. Woodward currently has a fan base in Tulsa of young retro hipsters who are into Tulsa pop culture. "Before I even knew him," Chew says, I would sit at home watching and laughing at Lee and Lionel on the tube. I thought they were funny then and I think they're funny now. But these days, I have to get their jokes out of cyberspace or make a trip to Tulsa and see them in person." Lee and Gary double-teaming the weather. In addition to doing weather, Chew also did some on-camera news for Channel Six. "It was an early morning rip-and-read 'cast at the tail end of the 'CBS Morning News,' and just before 'Captain Kangaroo,' believe it or not." Being a reporter wasn't what I really wanted to do, because I'd seen too many of my friends going out having to cover some pretty boring stuff more often than there was a story that was really interesting. I really was attached to music, in terms of broadcasting, and the opportunities didn't present themselves as often as I wanted, being in television. But I did do quite a bit of audio production that accompanied the video, or back then, the film that went on the air. And I also did a lot of voice-over work with Lee there." But something else came along a bit later that kept Chew's interest level high at KOTV. Gary: "(Circa 1975) KOTV promotions dept sent Dino Economos out to the cottage I was renting from the photographer Bob McCormack to do some promotional shots of me. This is in natural light before a very large window in my living room." It was about 1970 when Chew broke some new ground at KOTV and for Tulsa television, as well. "Clayton Vaughn was the news director at KOTV then, and I persuaded him to let me do movie reviews on the Channel Six Evening News which he anchored. Six had just expanded that report into a full hour and I felt it might be an opportunity for me while at the same time helping the news department fill a five-day-a-week hour-long news hole. I really didn't have anything to go on except that I loved film and movies and had always read reviews of them in the newspapers. It was quite a bit before Siskel and Ebert began doing film commentary on PBS. The first movie I did a review on was a western called "Doc," with Stacy Keach. I think it was one of the many Gunfight at the O.K. Corral flicks." Chew went on to earn a degree in film from the University of Tulsa. 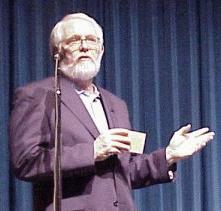 He did film reviews on KCMA FM in Owasso when he was a classical music host there back in the early 80's. He's also done film reviews where he currently works at KXPR/KXJZ in Sacramento. They aired as the local part of NPR's Morning Edition. And, of course these days, he files reviews of films and movies made for cable TV on Mike Ransom's Tulsa TV Memories website. Chew's time in Green Country reads like a Who's-Who in Tulsa broadcasting history. After KOTV, Chew was the afternoon drive host at KRMG, then taught audio production at TU and became Station Manager of KWGS, where he convinced the university administration to affiliate with National Public Radio. "Some people weren't too crazy about NPR going on the air back in 1977, but I had heard what the network was programming in other markets and became a strong supporter of it. Now, I'm very proud that Tulsa has had a really fine public radio station all these years and still serves northeastern Oklahoma so well." In the late 70's, Chew added one of public radio's most successful programs to the KWGS roster: Garrison Keillor's "A Prairie Home Companion." Gloating slightly, Chew says, "Garrison, whom I call the Bard of the North Country, is still there, every week at 89.5." One of Chew's wishes for his alma mater is that a second FM frequency for the university may come to be so that KWGS might have a companion channel devoted mostly to classical music. Chew's contribution to Tulsa broadcasting also includes time at the now defunct KCMA FM, where, in the early 80's, he helped its founder, the late Dr. John Major, bring on a commercial classical music format. "I've worked with a lot of people who are much more talented and more $uccessful than I, in fact most of them are retired now, but, right now, I'm still at it. I really enjoy what I do and that, for me, is what success is. I worked with Bob Brown quite closely, who's been at ABC News now for a long time. I've worked with Clayton Vaughn and Lee and Lionel and Granny, Mike Flynn and so many other talented, successful and fun-loving folks. But the most influential colleague I've had in this business is a guy who still lives right there in Tulsa. His name is Bob Gregory. I worked with Bob at KTUL Radio just when I had come to Tulsa for the first time. I was green and impressionable, which was probably a good thing for someone a bit older, more experienced and more talented to be able to help me learn the ropes better and discipline myself for being a responsible and professional person. Bob was my best mentor in that regard." "Go For Dough on the Early Show"
With all of his good work, one part of the Chew legend can't help but loom large in Tulsa history. That's the story of how he gave a certain Tulsa favorite son his big break. It was in the early Seventies while Chew was hosting a daily afternoon movie program on KOTV ("Go For Dough on The Early Show"---listen at left) when the young man who ran camera for the broadcast got an idea for some "schtick" to liven up the show a bit. Who would have thought a Tulsa counterculture icon was being born right then and there in a drafty KOTV studio? Dr. Mazeppa Pompazoidi, the host of the Uncanny Film Festival and Camp Meeting (1970-1973) would go on to greater fame simply as G. Ailard S. Artain. His local Saturday night TV show on Channel Six mixed live, satirical, skit comedy between the reels of a couple of monster movies, with cartoons and comedy shorts thrown in for no apparent reason whatsoever. "He asked me if he could do a bit," Chew said. "I didn't know how it would go over but I said sure. That led to the late night show where Sartain began showing old camp horror films. I actually named it. I took the Cannes Film Festival, turned it around, and came up with the name 'The Uncanny Film Festival' and Gailard added the 'and Camp Meeting' part." Sartain has gone on to star in films like "The Grifters", "Mississippi Burning", "The Buddy Holly Story", "Ali," and many more. Gailard has shared the big screen with some of the most famous people in cinema: Robert DeNiro, Gene Hackman, Kathy Bates, Anjelica Huston and John Cusack, just to name a few. Printed by permission, © 2003, Outline Magazine. All rights reserved. 5/10/2005: Gary was an eyewitness to the infamous "Creager Finger Incident"!